The official list opens at 12:01 AM (GMT) on Friday, July 29, 2016. 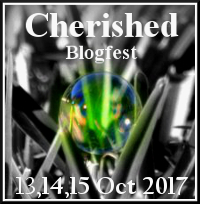 This entry was posted in #CBF16, Cherished Blogfest and tagged blogfest, instructions, schedule on July 26, 2016 by Dan Antion. You mean “Once you’ve posted (instead of written) the blog, click here to enter the link”, right? 🙂 Sorry, the content Nazi in me is bubbling up. You need to post it on your blog. You’re just entering a link on our list. This way, we hope you pick up some new followers. Quick question, my post may be a little over 500 words. Is this okay? Me too! Mine is very close though. Dan in particular will have difficulty keeping the post under 500…. laughing at this thot! Wonderful Idea! Can I repost something that has been on my blog already? I have many cherished stuff on it. Yes – People often repost older items for a new audience. Bang! It’s up, Dan. Thanks for the encouragement. Thanks Paul. I’ll be checking it out soon. No rush — I know there’s a lot to read. Did I need to sign up before entering? I just found out on Dan’s blog and thought it was a cool idea. No, you can just post this weekend. The early sign up was just to help us prepare and remind people. I just did! Thanks, Dan. Great. Did you add your link to the list? I just saw this today on shilpa’s blog, I missed a day (29) can I still join ? Absolutely! Most of us only post once during the 3-days. Plenty of time.